Will I spend the rest of my life craving new pencils and pens at the end of August? It’s warm and sunny. We’re still mowing the lawn. My tomatoes have yet to ripen. It is very much summer. But, I keep thinking about September. I’d say this preoccupation was a little cruel, if it weren’t for the fact that I get a nostalgic sort of thrill each time I think of September. I can’t be the only one who has this kind of seasonal anticipation. Am I? Yes, we have kids in school but even before our kids came along we got into back-to-school mode each year towards the end of summer (although we had left school behind a decade earlier.) At the same time, the back-to-school flyers drive me crazy. They remind me of the work it takes to get back into the swing of things. I prefer to focus on the pleasure of new beginnings. Sure there is a little bit of dread (we’ll be busy with kids’ activities) but the newness of it all is exciting. And there are ways to simplify the routine, which brings me to our new e-book full of healthy snack recipes. Part of getting back into the swing of things is baking more, and planning snacks for school lunches, our lunches and afterschool. 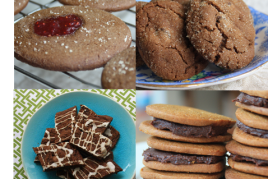 To make it easier to get set for the fall routine we have gathered 16 recipes for muffins, cookies, bars and brownies into a convenient e-book. These are wholesome grab-and-go snacks, made healthier with nourishing ingredients. There is something for everyone, including gluten-free options, snacks that go with breakfast, and brownies with a healthy twist. They’re satisfying snacks that pack well, travel well and freeze well. Everything you need for homemade convenience. Visit our library of free e-books, download our free e-books, print them, share them with friends. Hi Betty Ann, I wish I had more gluten-free recipes. I’m working on them though and hope to post a few in the fall. I would like to receive, if possilbe a hard copy of you “Wholesome Snacks for Hungry Kids”. For a person who has no computer. Our snack book was created as an e-book only so we don’t have printed copies. Sorry. Hi Diane, I just sent it by email. Enjoy! I like to cook with molasses. Thank you for all your good recipes. Keep up the good work. 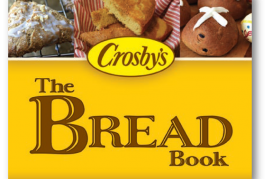 Would like a copy of:Wholesome Snacks for Hungry Kids…love baking for grandkids. Hi Anna, Our Wholesome Snacks book was created as an e-book only so we don’t have printed copies. If you have any trouble with the download I can email the file to you. Good luck. Can’t wait to take a look at all the great recipes – thanks for offering the Wholesome Snacks book. Hi Tanya, You’re welcome. I hope that you discover some new favourites in the book. I just sent you the file via email. Enjoy! Hi Stephanie, I hope that you received my email with the book attached. Hi Phyllis, We don’t have printed copies of our snack e-book but we’d be happy to mail you a copy of our Family Favourites cookbook. Hi Gail, We’ll send along a copy of our Family Favourites cookbook. It’s the only one we have in print. The others are e-books only. Any chance of getting a hard copy please? Many thanks, would appreciate it very much. Hi Diane, The snack book is in e-book format only, we don’t have printed copies. 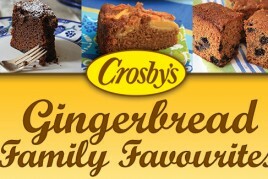 Would you like a copy of our Family Favourites cookbook? Hello lulu, our healthy snacks for kids book is an eBook only. 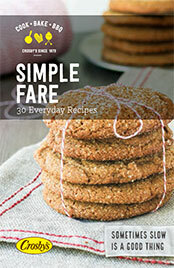 We would be happy to send you a copy of our Simple Fare book if you’d like to send your address to Kelsey.reid@crosbys.com. The link to this ebook seems to be missing. Could I please get an email copy of “Wholesome snacks for Hungry kids” ? Lina, Sorry for the delay in a response. The Healthy Snacks for Kids is an eBook on our website.  Here is the link,http://www.grandmamolasses.com/wholesome-snacks-for-kids/ I’m not sure what you were looking for, I do hope that this helps.